Based in Dorset and founded in 1961, TAV is an established brand of instrumentation products manufactured by Cynergy3 Components. The company specialises in the design and build of Fluid Handling Controls for a diverse range of industry sectors, including harsh industrial and hazardous environments. The company, which has over 50 years experience in fluid handling and level control, designs and manufactures high quality, purpose-built float switches and level control equipment, used in the petrochemical, oil, hydraulics, rail, coal, marine, power, chemical, waste water, food, and general engineering industries. TAV brand products offer full ATEX certification (Exd & Exia) on its range of float switches, displacers, contents gauges and valves. 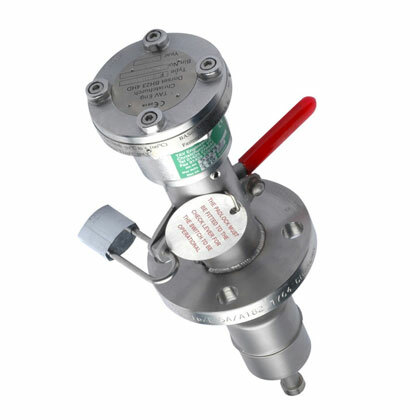 TAV brand products are quality designed and built to meet the challenges of liquid level control, where reliability is critical. Wetted material parts including a variety of float materials to operate in a huge range of fluids. Temperature switches incorporated in the device. Group 1 mining applications. Information provided upon application.